Wanted: a pair of Calvin Klein or J Brand hot pink jeans. Sadly none had magically appeared in my closet this morning. Instead I opted for grey J Brand’s. Mark my words, those hot pinkies WILL magically appear in my closet soon! I’m so over the darks. 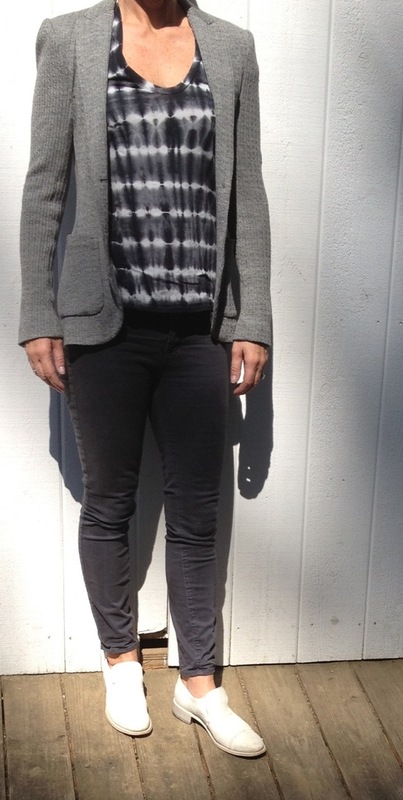 This entry was posted in Fashion and tagged Barney's, Iisli, J Brand, James Perse, Rocco P. by reversecommuter. Bookmark the permalink.